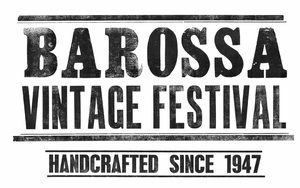 The Barossa Vintage Festival is going to be upon us in just 6 weeks! There are now 6 sold out events and a number of other events are heading that way too, so you had better head on over to barossavintagefestival.com.au/events to start planning! Also, don't forget that about one third of the events at the Vintage Festival are family-friendly, so bring the little ones along. Just pop over to the search bar on the events page and click the family-friendly filter to explore those events.